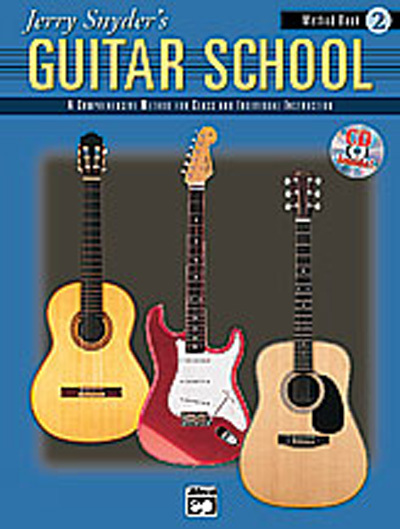 Well-respected educator and best-selling author Jerry Snyder has put together the most versatile guitar method available. This comprehensive method for classroom or individual study comes in two sections: the first section teaches chords and accompaniment, while the second teaches note reading. This flexible method allows you to start with either section or use both sections simultaneously. The Teacher's Guide helps the instructor develop and organize a guitar class curriculum and provides background on the guitar class, teaching tips, elements of music and how to address the National Standards for Arts Education. The Teacher's Guide also includes 48 pages of reproducible worksheets. The ensemble book offers graded duets, trios and quartets as well as optional parts for bass.